I am a huge fan of frozen yogurts. So when I ran out the other day I wondered if I could make one at home. I always have frozen bananas in my freezer for smoothies or for banana bread and friends brought over couple of very ripe avocados this weekend so I had to use them. 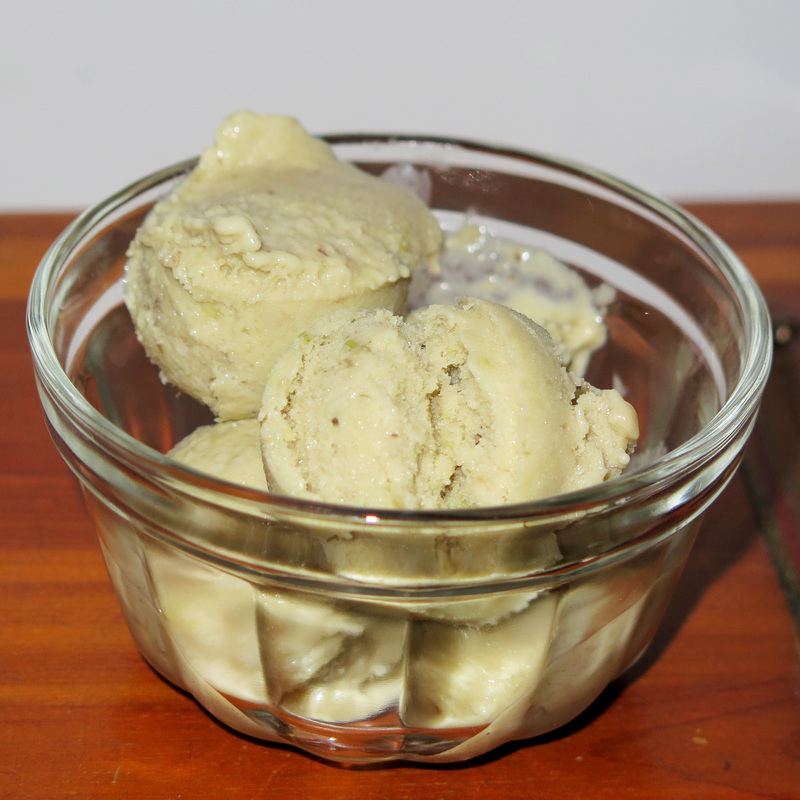 It was decided, it will be avocado-banana ice cream with vanilla yogurt. 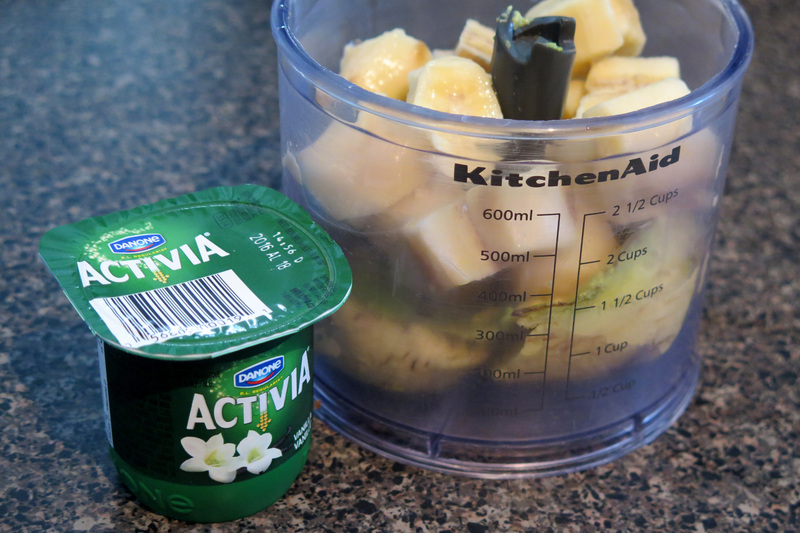 Cut avocados, bananas and put them in a blender or a food processor. 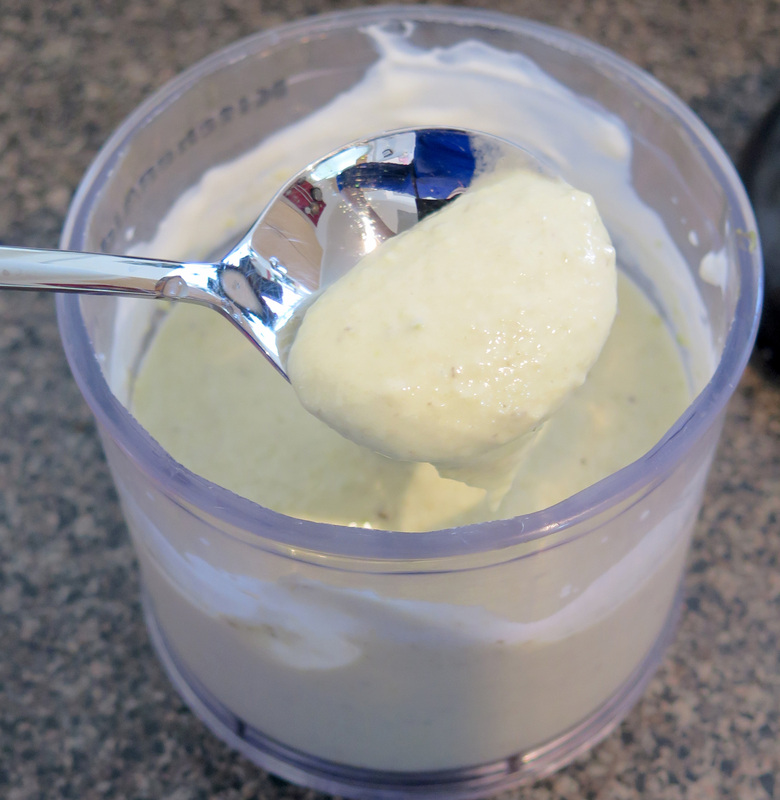 Add yogurt and blend until smooth, about 5 minutes. 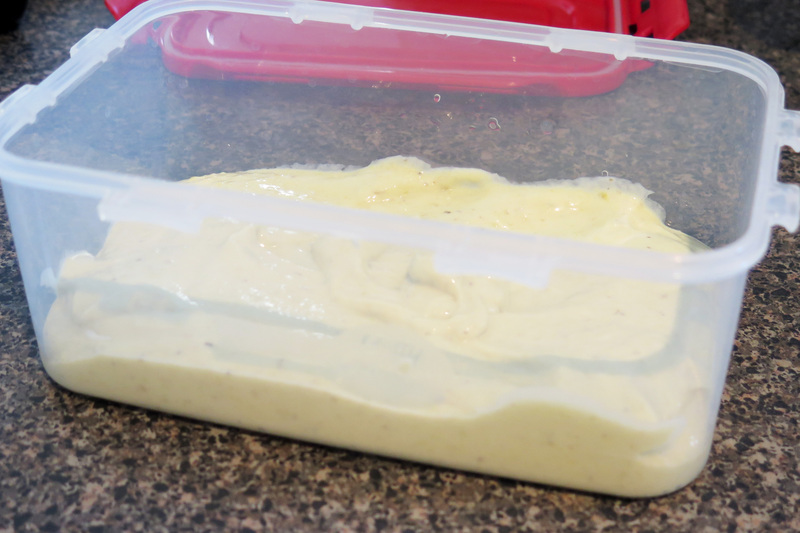 Transfer into a container and put it in the freezer for at least 2 hours. Makes about 1 1/2 cups. I just made enough for testing. Next time I’m thinking of adding some blueberries or maybe crushed dark chocolate. I know where that avocado on my kitchen counter is going! Nice recipe. Thanks.